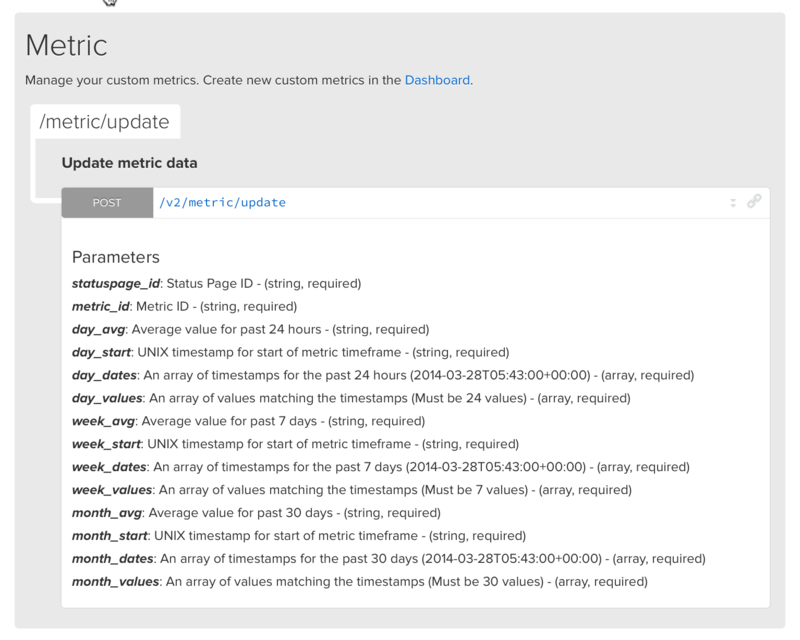 We baked a new feature into API v2… Custom metrics! This is a great way to use any data source to power the metric charts on your status page. Check out the full documentation here. [Improvement] Switched to all green logo! 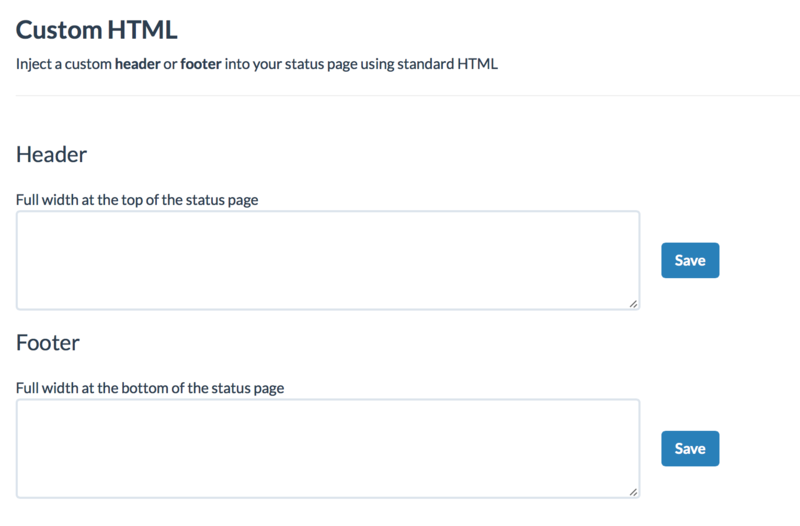 We released another minor UX option for your status pages. Now you can choose where to place the menu bar, either at the top, bottom or both sections of the status page. You may still disable the report and subscribe buttons too. Modify your menu bar’s placement in the Dashboard Design view. 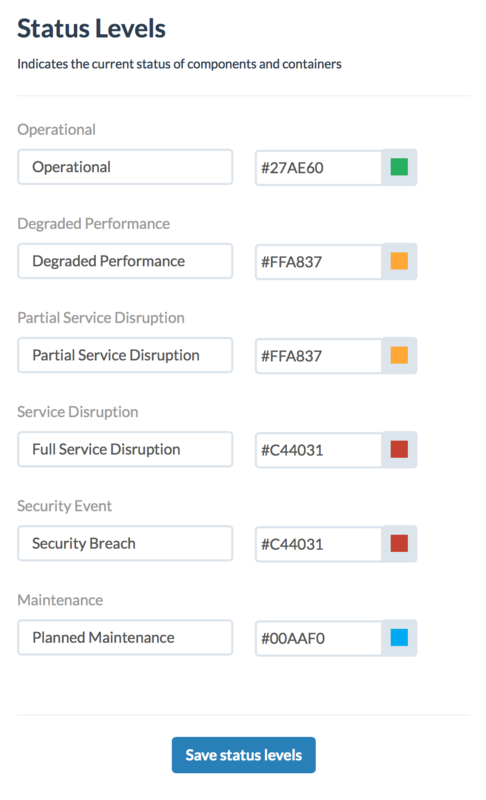 Status level colors are used to visually indicate the current status of a specific component, container or incident. 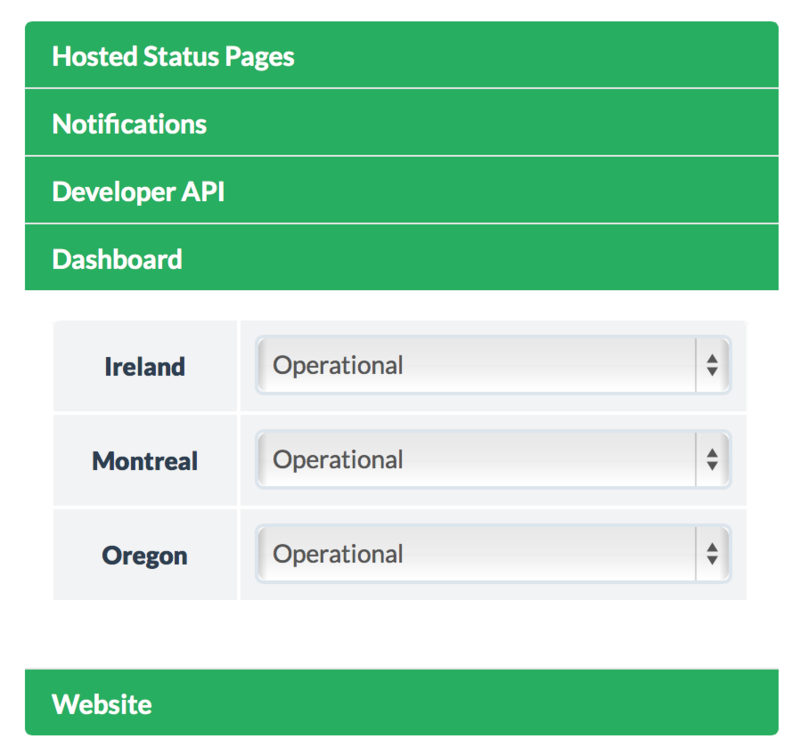 Example: The table of components at the top of the status page are each colored according to the current status. Up until now, every status page used the same shade of each color. Starting today you may choose your own colors. Use the Dashboard Design view to pick your colors. Instead of strictly controlling the status of components with incidents or maintenances, you may now toggle the status of each component right from your Dashboard. This functionality already existed within our API and it’s also how we implemented automated status toggles via emails and Pingdom. Now you may do it manually. To change a component status, click the container and then choose from the component drop-down. In an effort to protect your status page from brute-force attacks and stolen credentials, we released support for Yubico Yubikey two factor authentication. Get a Yubikey device! You can purchase them here. 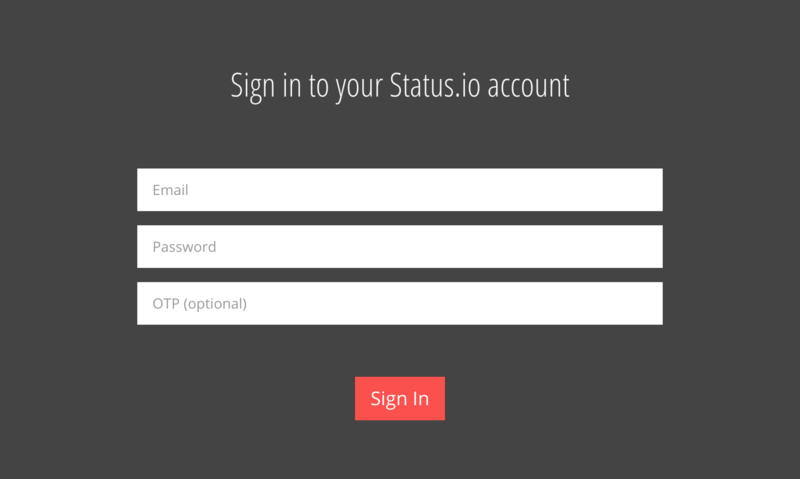 Sign in to your Status.io account and navigate to the Account view. That’s it! 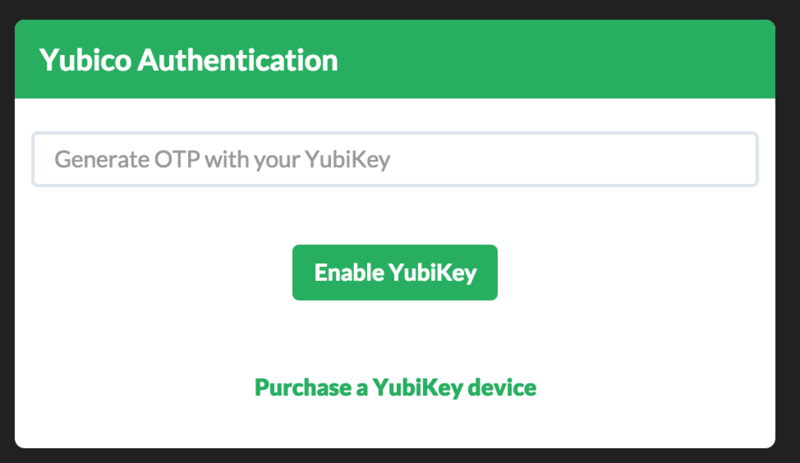 Every time you sign in to Status.io you can just tap your Yubikey while selecting the OTP field.